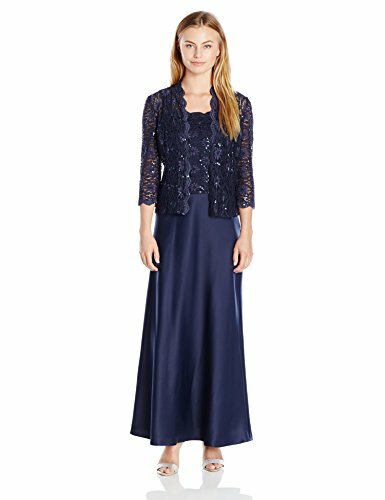 This classic long lace mock dress with a high low envelope skirt is a great choice for a Mother of the Bride or a Guest of a Wedding. 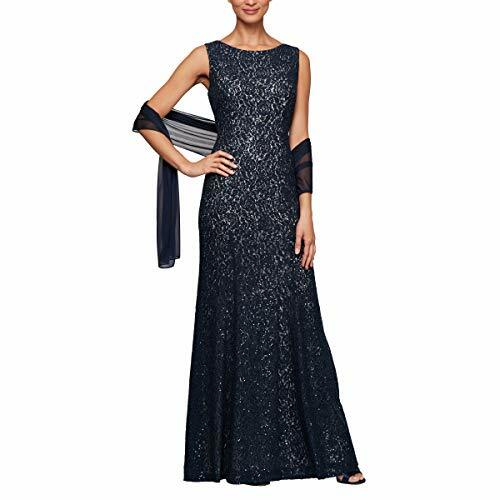 This evening gown also comes with a shawl which provides the perfect coverage for your arms and shoulders. Gathered pleating and a flattering surplice neckline create a timeless, feminine silhouette with this versatile sheath dress, accented with a striking brooch at the waist side.Surplice necklineSleevelessConcealed back zipGathered pleating along frontBrooch at left waist sideWrap-style overlay at front skirtNylon/spandexHand washImportedThis item will arrive with tags attached and instructions for removal. Once tag is removed, this item cannot be returned.SIZE & FITSheath silhouetteAbout 34" from shoulder to hemModel shown is 5'10" (177cm) wearing US size 4. Floral lace dress topped with ajacket with scalloped edges. Nylon/polyester/spandex. Hand wash. Imported.JACKETOpen frontThree-quarter sleevesAbout 45" from shoulder to hemDRESSScoopneckSleevelessBack zip closureAbout 24" from shoulder to hemSIZE & FITModel shown is 5'10" (177cm) wearing US size 4. 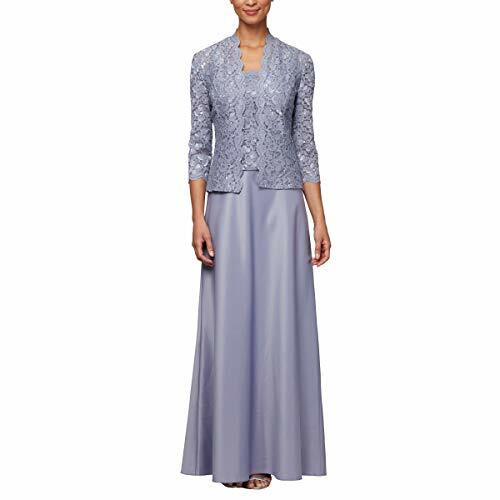 Elegant long sheath dress with beaded waist detailSurplice necklineSleevelessConcealed back zipAbout 58" from shoulder to hemNylon/spandexHand washImportedModel shown is 5'10" (177cm) wearing US size 4.This item will arrive with a tag attached and instructions for removal. Once tag is removed, thisitem cannot be returned. Timeless pants accentuated with waist tie detailElasticized waistFront rise, about 12"Back rise, about 17"Inseam, about 31"Leg opening, about 42"PolyesterMachine washImportedModel shown is 5'10" (177cm) wearing size Small.